Unfortunately, divorce is a cruel reality for many people. Probably the most arduous part of the divorce proceeding is determining who gets what property. It should be noted that most property distribution is often addressed and settled between the parties in a marital settlement agreement outside the courtroom. In the event the parties are unable to agree, the court will step in, apply state laws, and divide all property (and debt) accordingly. With that said, it important to understand the factors the Florida courts use to divide property in a divorce. The manner in which property is distributed is dependent upon state law. Some states follow community property rules where the property and debts are equally divided between the spouses. Other states, like Florida, follow the rule of “equitable” or fair division. 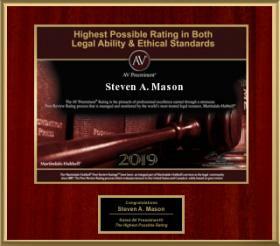 Equitable division of property requires several steps. Passive income from a separate property as long as it was not commingled with marital funds. Any non-marital property that is commingled, tangled or pooled with marital property will likely be subject to the divorce proceeding. Once it is determined that the property is not non-marital, the next step is to determine which spouse will get title to the property. Pursuant to Florida Statute 61.075, there is a starting presumption that each party generally receives half of the marital assets and liability, regardless of fault. Simply put – a 50/50 split. However, the financial status of each party is considered, or some other legitimate justification may adjust the distribution in favor of one spouse over the other. Equitable division does not mean equal; it means fair. Equitable division provides some flexibility, though also creates uncertainty regarding the outcome due to the numerous factors the court can consider. Furthermore, a party can present allegations on why property should not be distributed in a certain way in the initial divorce pleading, and then substantiate these allegations during the discovery process. 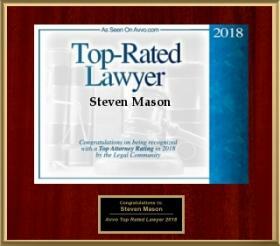 Whether either spouse intentionally wasted or destroyed marital assets either after the divorce petition or within the two years preceding it. Dividing property in a divorce proceeding can be quite difficult, and there is no reason to do it alone. 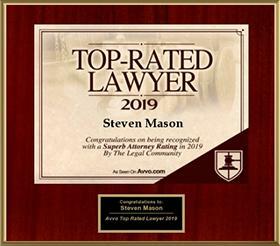 Contact one of Hollywood and Fort Lauderdale’s most experienced attorneys, Steven A. Mason, to assist in your divorce proceeding. Speak with us today for a consultation.